Although known for it’s long cold winters, the wide areas of natural tree growth have made for many beautiful courses in the state. 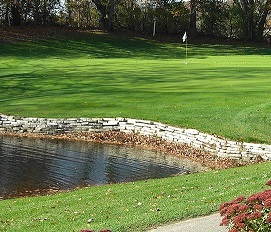 The Golf Association of Michigan has over 400 member clubs with play available for all skill levels. The Huron Hills Club at the University of Michigan in Ann Arbor is great for beginners, while the Grand Traverse Resort and Spa is great for more advanced players. It has the distinction of having courses designed by both Gary Player and Jack Nicklaus. Combined it has 54 holes of challenging golf in a wonderful spa setting. It is perhaps one of the truly beautiful states to golf and travel in so take advantage of our great discount green fee rates in the Saginaw area, the Detroit area, Northern Michigan, and the Grand Rapids and Kalamazoo areas. Also, don’t forget about the fine golf courses you’ll find in the Upper Peninsula area of Michigan, including the George Young Golf Club just outside of Iron River in Gaastra, MI.